Black Magic ® is a product line manufactured by Blue Coral ® which started out as a single product. Black Magic ® was a thick silicone trim shiner that was applied to trims and bumpers with cloths or sponges. 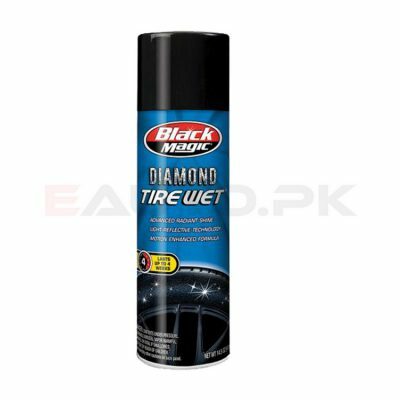 However, customers started using it on tires as well because of its longer lasting shine. 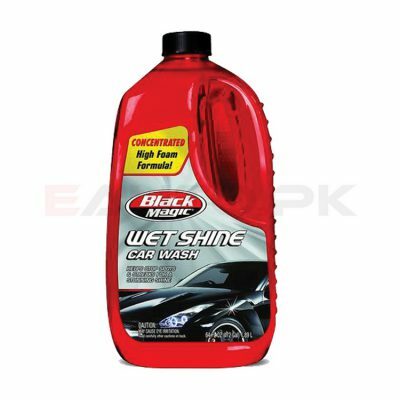 This led to the expansion of Black Magic ® products to an entire array of car care products ranging from tires and rims to interior and exterior car products. Today, Black Magic ® products are the number one choice for car enthusiasts as shiner and care products for their vehicles. 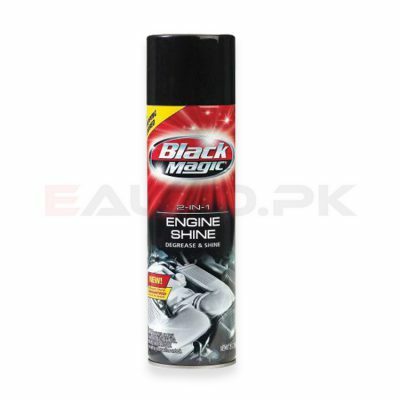 We offer you the opportunity to buy the best quality Black Magic ® car care products online at EAUTO.pk, with just a click of a button. 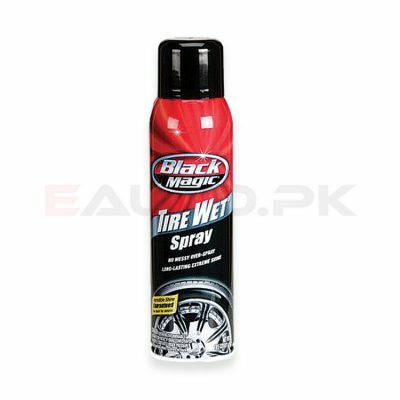 Today, Black Magic ® tire care products are the most widely used due to their diversity and high quality. 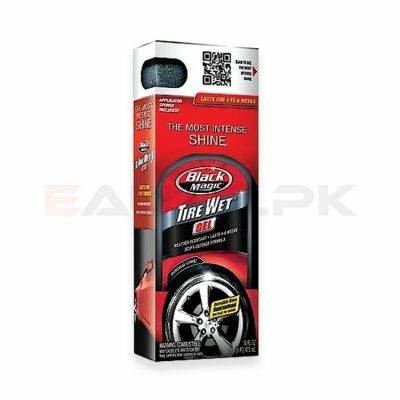 Based on the quality and long lasting nature of the shine, Black Magic ® tire care products are categorized from good to best, with products such as Intense Tire Wet Spray, Intense Tire Wet and Tire Wet Gel offering the best quality of shine. 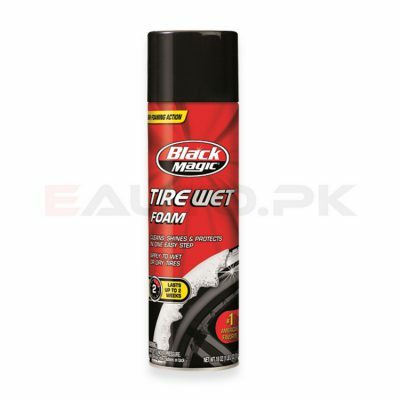 Black Magic ® Bleche –Wite Tire cleaner is also offered to remove stubborn stains from your tire surface that may affect grip and traction as well. 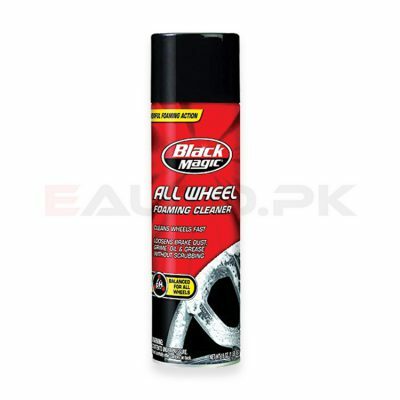 Black Magic ® wheel care products are carefully manufactured according to the pH required by your car’s wheels so that they offer the longest lasting protection for your car wheels. They even offer Chrome Wheel Cleaner specifically for chrome wheels that require a different pH than the rest. But wheels and tires aren’t the only thing that Black Magic ® products cater to for your car. You can also protect and clean your interior and upholstery with Pro Shine Protectant and Leather Cleaner or coat your car’s exterior with a protective wax with Black Magic ® 2-in-1 Fast Wax. 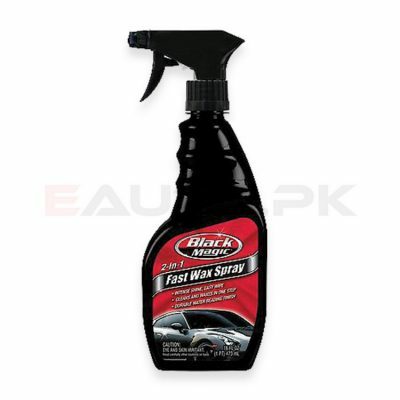 All of these products and more are just a click away at EAUTO, where we offer every Black Magic ® product at the best price in Pakistan. So hurry and order the best quality car care product today!